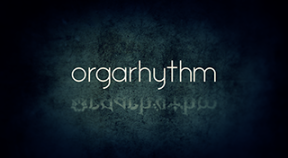 Obtained all other [orgarhythm] trophies. Cleared tutorial for the first time. [Surface of the Wasteland] cleared! Cleared [Surface of the Wasteland]. Cleared all in [Normal] difficulty. Cleared all in [Hard] difficulty. Cleared a map without losing a single warrior. Drew a line through [Dragging]. Raised voltage rank to max level. Invoked [Attack] support skill 100 times. Invoked [Heal] support skill 100 times. Invoked [Guard] support skill 100 times. Invoked [Slow] support skill 100 times. God of Light movement distance passed 42.195km. [Dragging] length exceeded 100 miles. Achieved S-Rank in all stages and on all difficulty levels. Acquired all skills (excepting for DLC). Cleared a map without using any support. Defeated 10,000 Dark Tribe warriors. Cleared a map in co-op mode. Acquired Game Over in co-op mode. Altered the sound volume in-game. Failed to inflict any damage to enemy with [Sacrifice] skill. Achieved 100 bad taps in a row.